Microsoft has announced Xbox All Access, a limited-time offer, while supplies last. 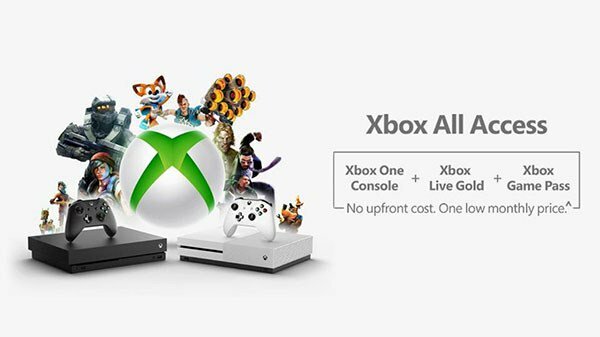 For no upfront cost and one monthly price for 24 months, Xbox All Access gets you a new Xbox console, and subscriptions to Xbox Game Pass and Xbox Live Gold for the entire duration of two years. The Xbox One S 1TB bundle costs $21.99 per month, and Xbox One X for $34.99 per month. Limited-time offer for qualified customers includes 0% APR for 24 months. This is not leasing or renting – you own the console outright. The Xbox All Access program is available only in the U.S. at Microsoft Stores.